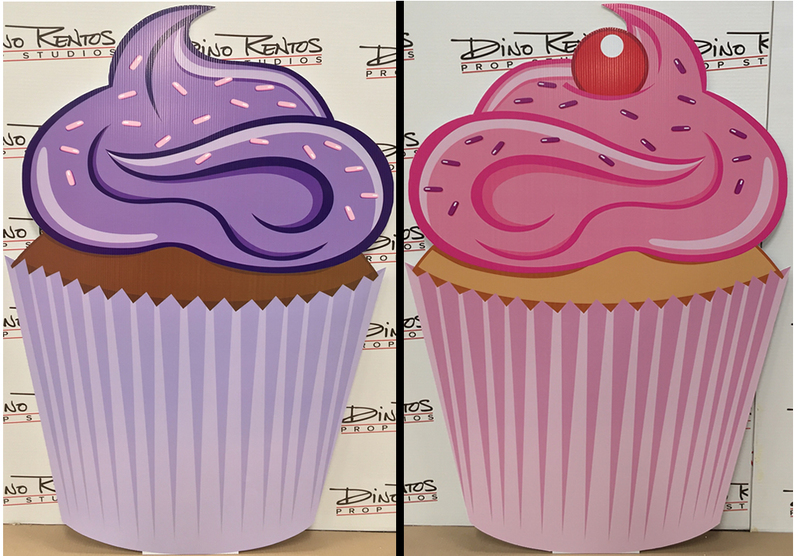 Cupcakes Cardboard Cutout Standup Props - Dino Rentos Studios, INC.
Make your next event or production sweeter with these Cupcakes Cardboard Cutout Standup Props! 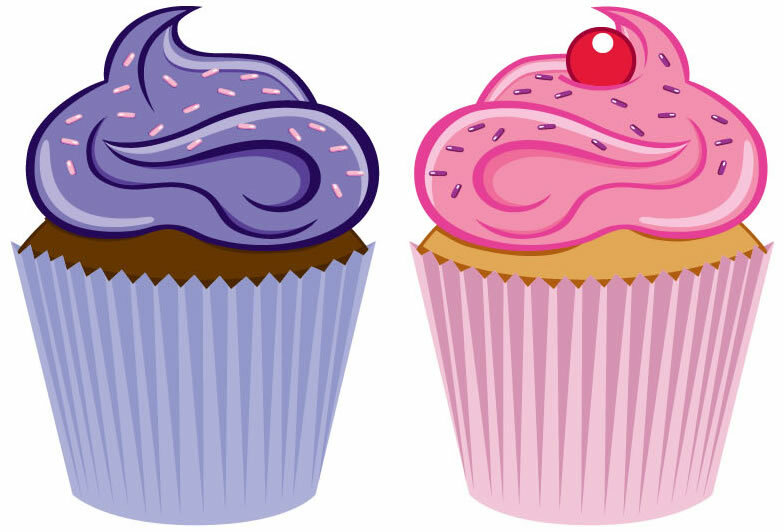 You get both colorful cupcakes for 1 low price! 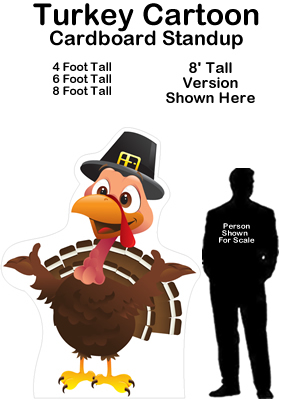 Perfect for your Candyland or Food themed production or celebration! 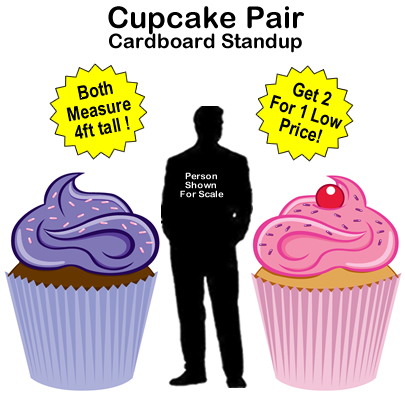 Both cupcakes measure 4ft tall x 34" wide. Contact us for custom colors and sizes!